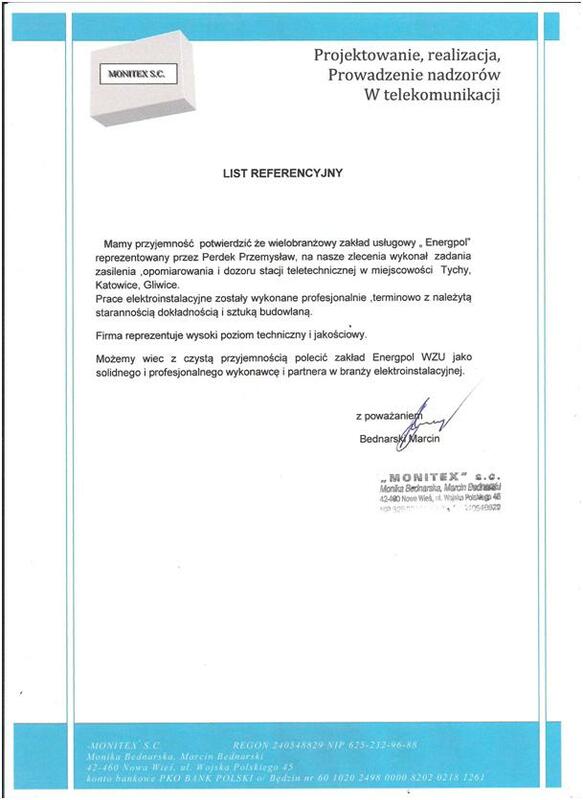 SPÓŁDZIELNIA MIESZKANIOWA LOKUM TYCHY - PRZEGLADY I POMIARY INSTALACJI ELEKTRYCZNEJ WRAZ Z ODGROMOWĄ. 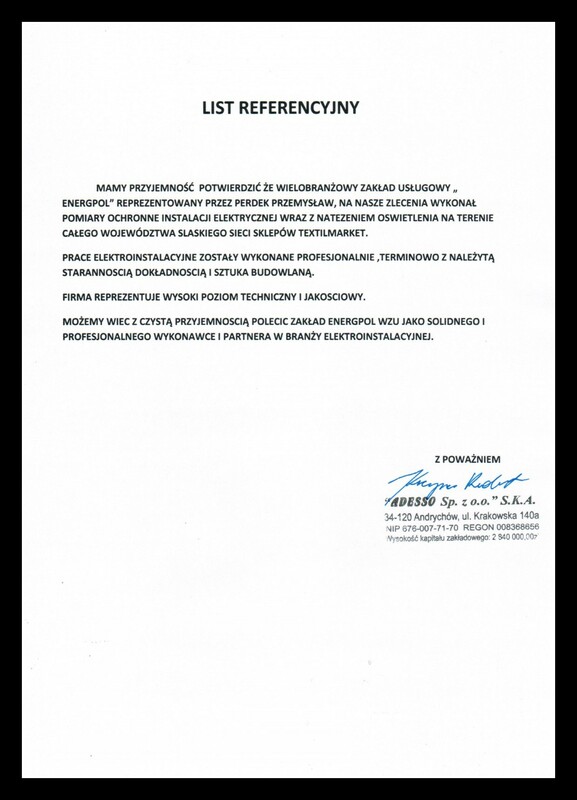 SPÓŁDZIELNIA MIESZKANIOWA SILESIA KATOWICE - MODERNIZACJA INSTALACJI ELEKTRYCZNEJ. 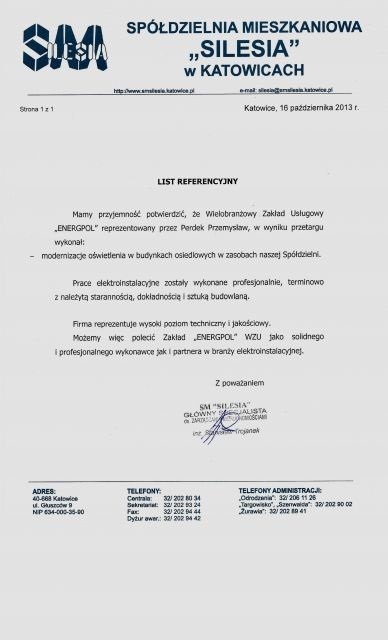 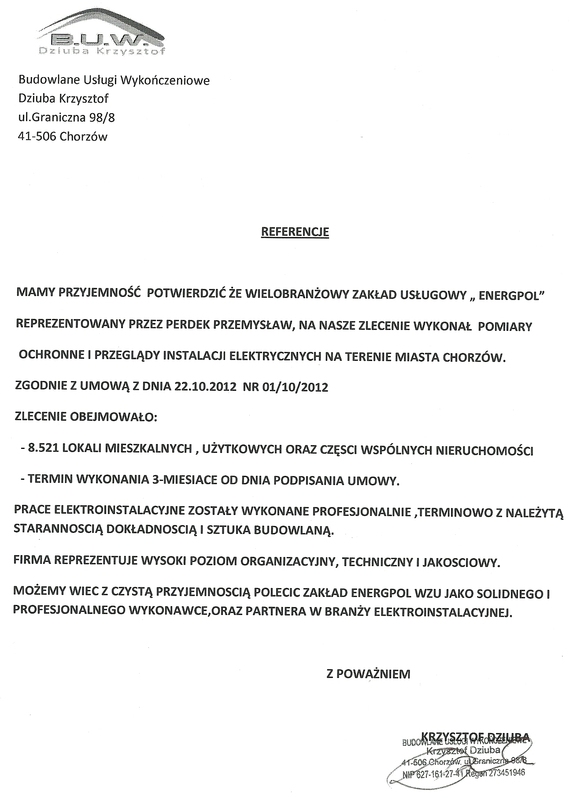 KOMPLEKSOWA OBSŁUGA ZAKŁADÓW PRZEMYSŁU SAMOCHODOWEGO. 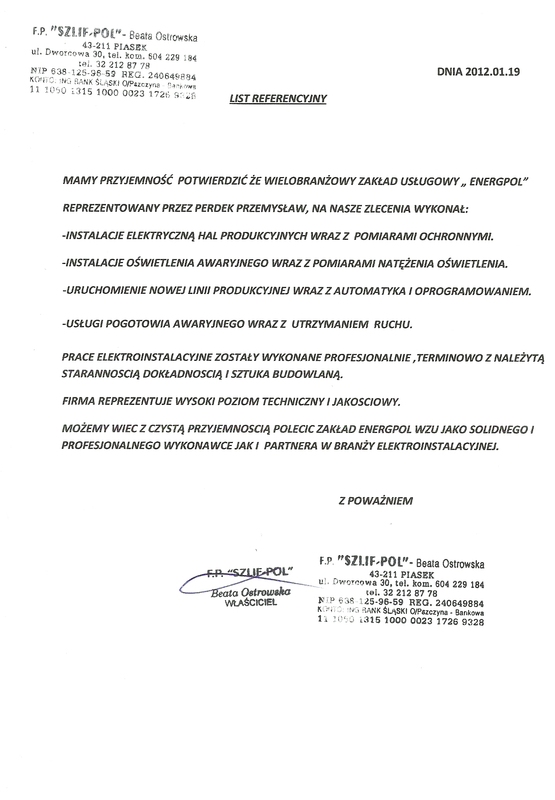 - UTRZYMANIE RUCHU - AUTOMATYKA PRODUKCYJNA - UTRZYMANIE SIECI ELEKTRYCZNYCH I GAZOWYCH - CAŁODOBOWE POGOTOWIE AWARYJNE-PRZEGLADY,KONTROLE,ODBIORY. 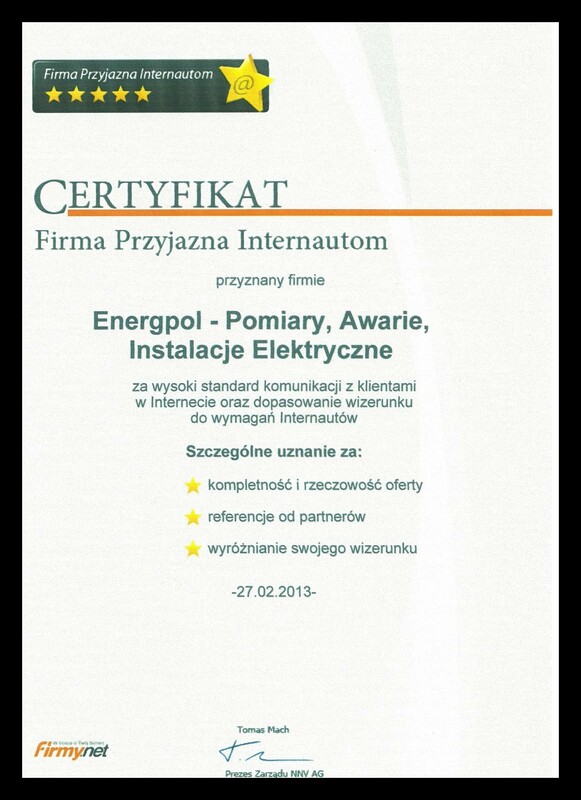 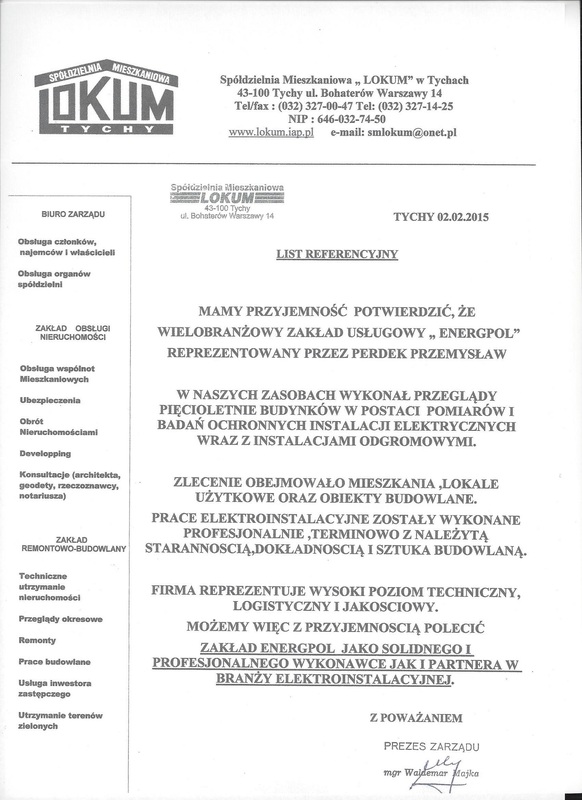 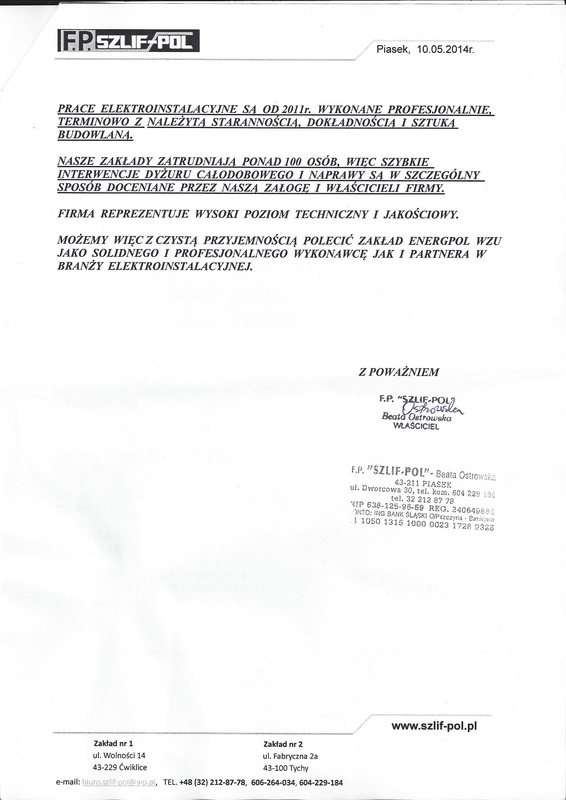 KOMPLEKSOWE WYKONANIE INSTALACJI ELEKTRYCZNEJ,OŚWIETLENIA AWARYJNEGO I AUTOMATYKI PRZEMYSŁOWEJ,URUCHOMIENIA LINII PRODUKCYJNYCH.